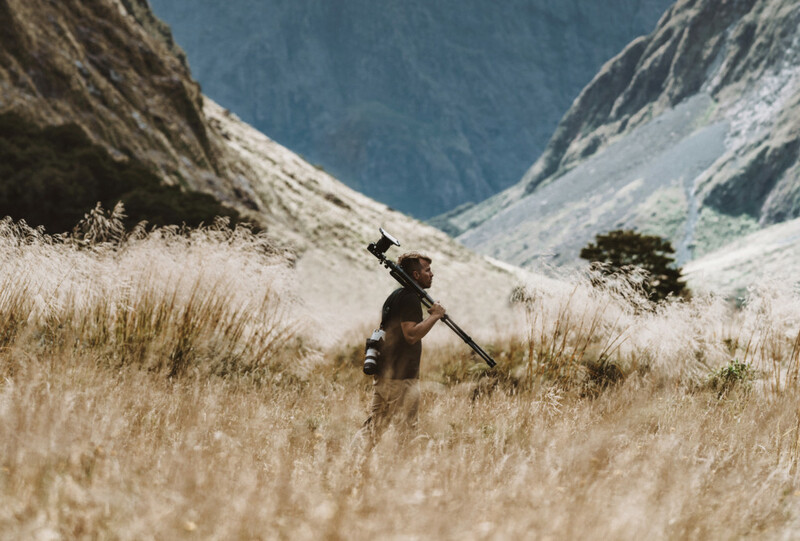 Chandler Williams explores the mountains of New Zealand. For several years, photographer Chandler Williams has escorted students in the Film and Television Conservatory program at the Orange County School of the Arts on glorious field trips to destinations, including Alaska and Costa Rica. To qualify for admission to the school, located in Santa Ana, California, students submit an application that must include a short film as an example of their work and evidence of their skill. Then, as part of their School of the Arts experience, students enjoy the opportunity to take a trip and learn “run-and-gun” filming techniques from instructors, including Williams. This year, students will depart for Spain. Now, Williams wants to replicate the Orange County program by establishing a private academy in Walton County. He is in the process of learning what he needs to know about running a not-for-profit enterprise. Like the California program, the one Williams has in mind would be competitive. Students would be admitted based on applications and work samples. Williams, whose Modus Photography studio and art gallery are located at 39 Logan Lane in Santa Rosa Beach, has succeeded without any formal training. He got his start 20 years ago developing film in a “kitchen sink” as an intern at the Walton Sun newspaper. From then on, it always has been his goal to keep growing. His professional development has been accelerating. “Four years ago, I owned one off-camera flash,” Williams said, and then pointed to a collection of Profoto lighting gear as evidence of the progress he has made. Williams hesitates to say that he does it all, but he does a lot, as his highly diverse portfolio and the images on following pages attest: event photography, portraiture, landscapes, seascapes and critters. As a commercial photographer, he has worked with clients ranging from lululemon fitness clothing to Leinenkugel beer and has completed shoots at Hilton and Hyatt properties. His work with travel companies has carried him to Hawaii, Belize, and Central and South America. When frustrated because he couldn’t find the frames he wanted, he undertook making custom frames from storm debris and boards reclaimed from dilapidated docks. Williams says he “speaks the language of photography,” but he stays away from jargon. It’s more like he lives the language. For Williams, there is no reason that life as seen through a viewfinder should be any less varied than life without his gear. For Williams, there are a “ton of shoots” that he has thought about but has yet to get to. In particular, he has in mind a project to document the old-timey character of South Walton County villages, Santa Rosa Beach especially, before continuing development overtakes it. A jellyfish propels itself through waters near Grayton Reef. The delicate invertebrates have been drifting along ocean currents for millions of years. Despite their stinging cells, jellyfish are a favorite food of sea turtles. Waves crash into the shore of Oahu, visited by Chandler Williams during a teaching trip. An all-wheel-drive quattro by Audi was on display at a golf tournament sponsored by the automaker. The day before Hurricane Michael provided no clue of the storm to come. A handsewn dress was unveiled at the 2018 “Bridal Reveal” by Nicole Paloma Designs of Santa Rosa Beach.